Transporting a cat in a cat carrier can be a stressful event even for a calm cat. 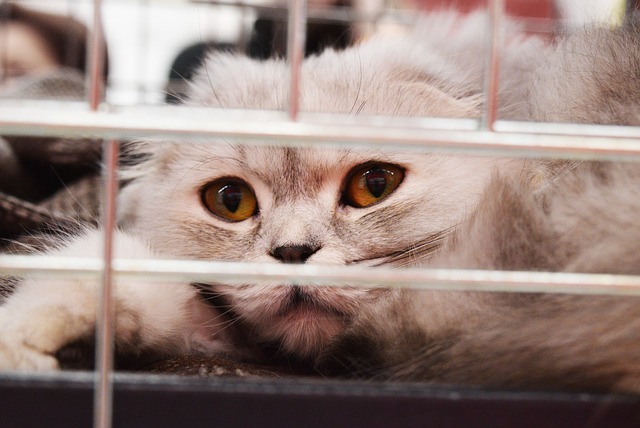 If you have a nervous cat the stress of being put in the wrong kind of carrier can cause them to exhibit a wide range of behavioral problems. And trying to put a nervous cat in a carrier can take an emotional and physical toll on you as well. Finding a cat carrier designed for nervous cats can be a little bit of a challenge. You have to consider the quality of the materials, the size of the carrier and also how easy it is to clean. And then to make sure your cat is relaxed you have to make sure the interior is comfortable and inviting. After reviewing most of the carriers on the market we have decided that the best cat carrier for nervous cats is the PetLuv Soothing Soft Sided Cat Carrier. 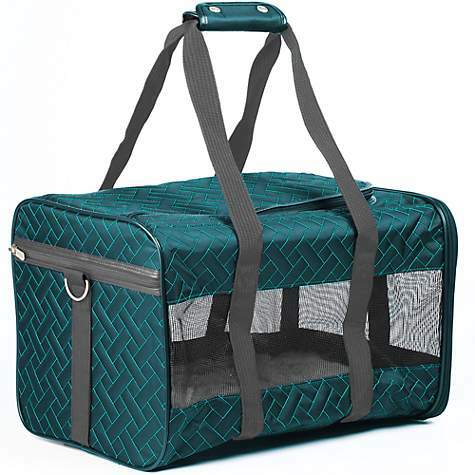 The Sherpa Deluxe Pet Carrier (Buy Online) is one of the most popular soft pet carriers for cats on the market. This carrier is approved for use on most airlines. And fitting this carrier on a plane is an easy task thanks to the patented wireframe design. The wireframe will easily bend so it can be compressed in order to fit under most airline seats. A nervous cat will be very comfortable in this soft carrier since it has a comfortable interior with ample room to move around. The large mesh windows will also make your cat feel less claustrophobic and confined. And the mesh windows will make it easy for you to check in on your cat from time to time. You can load your cat into the Sherpa Deluxe Pet Carrier using any one of the two doors. You can use the side door if your cat isn’t putting up much of a fight. Or you can gently lower them into the carrier through the top door, which is a much less stressful way to enter a carrier for a nervous cat. The Pet Ego Jet Set Forma Frame Large Pet Carrier is a very stylish cat carrier that is tailor-made for transporting nervous cats. This carrier is airline approved, and thanks to its contoured design will easily fit under most airline seats. The Pet Ego Jet Set Carrier is made from extremely high-quality materials. The claw-proof mesh windows and durable fabric will withstand years of use. And the interior of this carrier is so plush and comfortable that even an anxious cat will feel right at home. This carrier can either be carried by hand or slung over a shoulder like a backpack carrier. And when this carrier is not in use the frame can be folded down for easy storage. This carrier also includes an attached leash, which is perfect if you have a cat that likes to run away any time you open the carrier. The Petmate 2 Door Top Load cat carrier is a sturdy and durable carrier that can handle anything a nervous cat can dish out. Plastic carriers may sacrifice some of the portability that fabric carriers offer. But they more than make up for this since they are easier to clean and hard for a cat to destroy. If you have a nervous cat that tries to scratch and bite their way out of a carrier then a fabric carrier just won’t do. Plastic carriers are the best cat carrier for difficult cats since they are able to withstand even the most aggressive cats. Some cats may even spray the inside of their carrier in protest. In those cases having a plastic carrier will make cleaning up the mess a much easier task. A sturdy carrier may also make some nervous cats feel safer and more secure. Fabric carriers tend to flex and bend which can make a cat feel uncomfortable and unsure on their feet. In contrast, a plastic carrier will provide a cat with a stable surface to stand up and move around on. 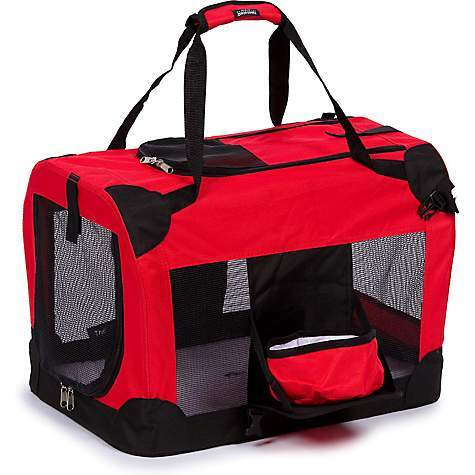 The Pet Life Folding Deluxe 360 Vista View House Carrier is a great carrier for cats that get separation anxiety. With the very large mesh windows on all four walls, your cat will be able to see you no matter where they are. 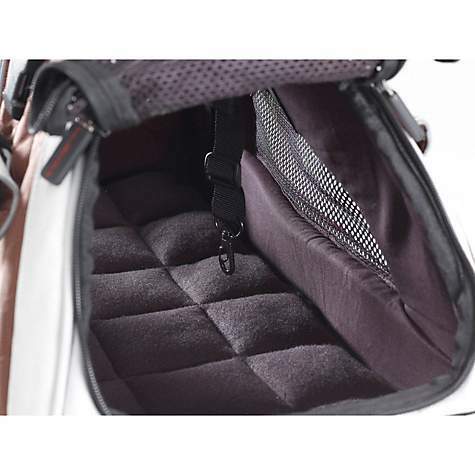 The Pet Life Folding Deluxe Carrier has two doors, one on the side and another on the top. The side door is quite large and since the carrier has mesh on all four sides your cat won’t feel as afraid to go inside. 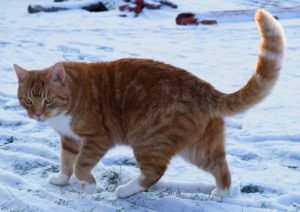 And if your cat has problems using the side door you can easily lower them into the carrier through the top door. The fabric portions of this carrier are lined with Thinsulate, so your cat won’t catch a chill even if they are placed on a cold floor. And this carrier comes with a water bowl, so you can give your cat a little water if they are feeling a little parched. And when the carrier is not in use it folds down for easy storage. 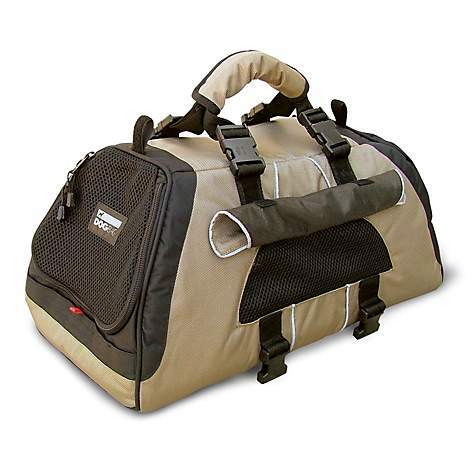 The Gen7Pets Carry-Me Fashion Pet Carrier is an excellent carrier for everyday use. 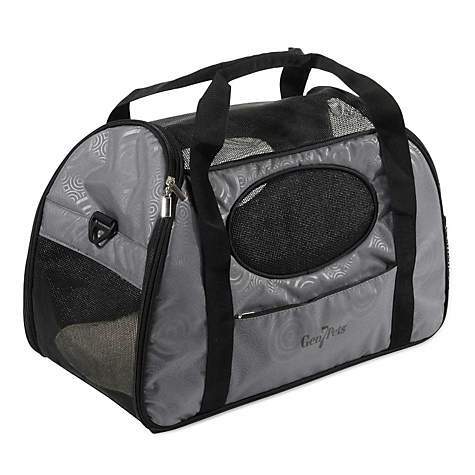 Firstly the Gen7Pets Carry-Me Carrier is great for transporting a cat to vet visits or for short trips around town. And it also meets most airline regulations since it fits under most seats when it is placed on its side. If you need a quick grab and go carrier this is one of the most convenient designs we have reviewed. Loading a cat in and out of this carrier is a breeze. And even very anxious cats tend to like this carrier thanks to the mesh windows and the comfortable design. What I like most about this carrier is how easy it is to carry. 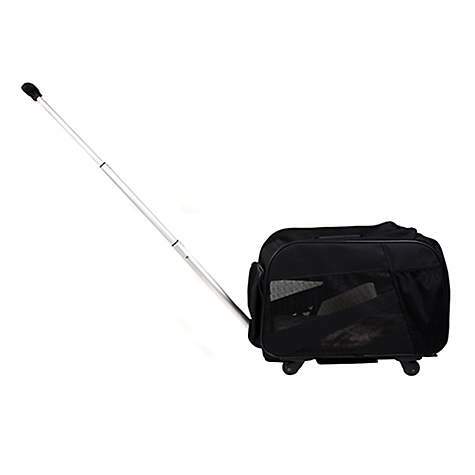 The Gen7Pets Carrier has a very comfortable padded handle that is easy on the hands. And with the detachable shoulder strap, you can sling it over your shoulder to help ease the load. 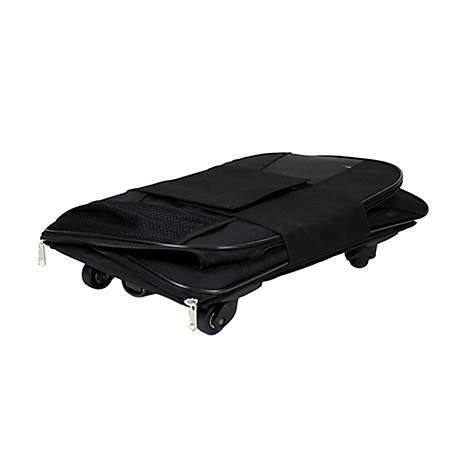 The Smart Cart Black Pet Cart is specifically designed with air travel in mind. What sets this carrier apart from all the rest is the wheels and the telescoping handle. Just like your normal luggage this cat carrier can easily be pulled along on its smooth rolling wheels right through an airport. While the handle and wheels might seem like a novelty it can really save you a lot of effort when traveling with your cat. And once you are on the plane this carrier meets most airline regulations and will easily fit under most seats. And when you get to your destination this carrier folds down to four inches for easy storage. 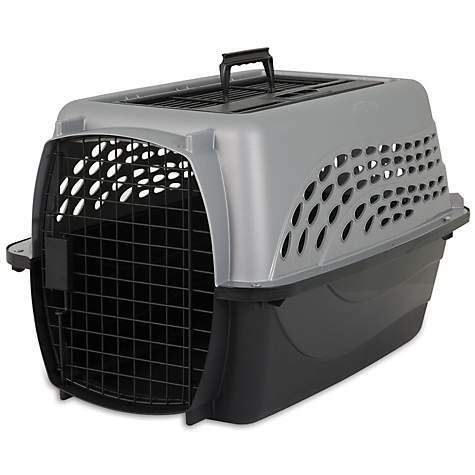 Your cat should also be put at ease since this carrier has large mesh windows on three sides. And the interior is large enough for a cat to move around and not feel overly restricted and confined. And since this carrier can be rolled around your cat will feel less shaken up when moved which can also help calm them down. 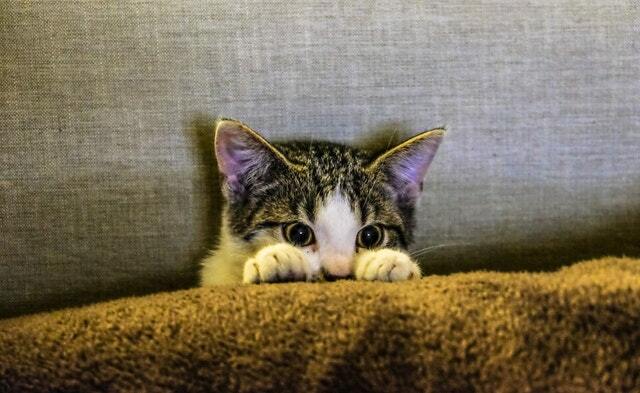 If your cat is exhibiting any scared cat behaviors there are a number of things you can do to help put them at ease. 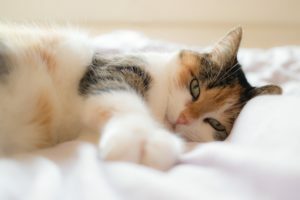 The following list of cat calming techniques should help you when it comes time to load your cat in their carrier. Speak to your cat in a calm soothing voice and make some reassuring sounds that you know they like to hear. And if you are going on a trip and you have stress in your voice, wait until you calm down before saying anything to your cat. 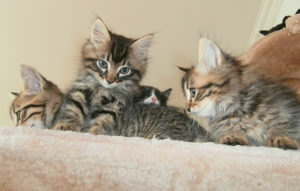 Cats generally respond well to a low pitch voice that isn’t loud. And if you want to you can hum or sing a soothing song to your cat to help take the edge off. Or if your cat likes the radio or TV try and distract them with those sounds before putting them in their carrier. Even a very nervous cat will be tempted into a carrier if you give them a treat. Placing a treat right in the carrier might work for a mildly anxious cat. Or if you have a very nervous cat try hand feeding them some treats right outside the carrier. 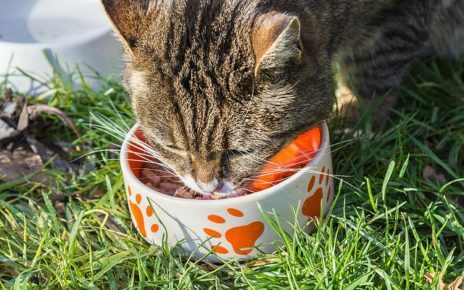 By giving the cat a treat outside the carrier the cat will begin to have a more positive view of the carrier. And then you can slowly lure them into the carrier by placing a treat inside the carrier and then gently closing the door behind them. 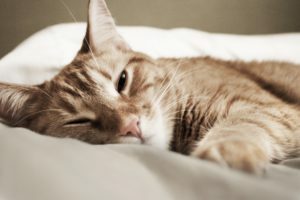 Using a calming pheromone is a safe and natural way to help calm a nervous cat. 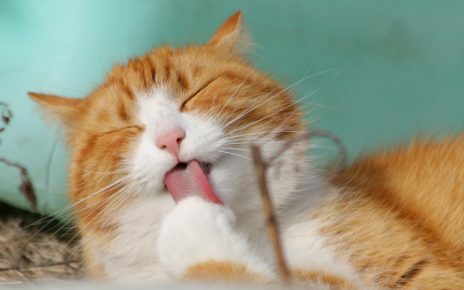 Whenever your cat rubs their face against you they are releasing feline facial pheromones. These facial pheromones send the message to any cat that the person or thing that has that scent is safe. So when your cat or any other cat encounters that scent they will react in a calm and relaxed manner. Using a pheromone spray on a cats carrier will signal to the cat that the carrier is a safe place to enter. You may also want to put a collar infused with pheromones on the cat a few hours before they have to go in the carrier. Sometimes it’s best to just leave a cat alone for a little while so they can calm down before being put in their carrier. If you can try putting them in an empty room and just leave them alone for a while this might help reduce any nervousness. And you can try to lower the lights and draw the shades to put the cat in a more restful state so they think it is bedtime. And once they are completely calm you can then try to load them into the carrier before they become alert and defensive. 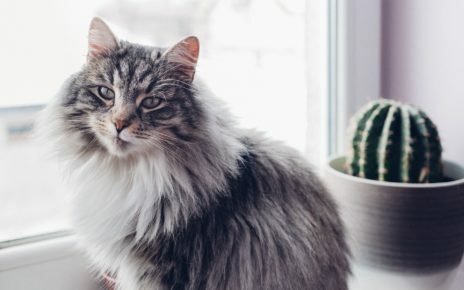 If you have a cat that has severe anxiety issues, you may have to give them a prescription medication in order to safely place them in a carrier. If you find yourself in this situation make an appointment with your veterinarian to discuss treatment options and medications. 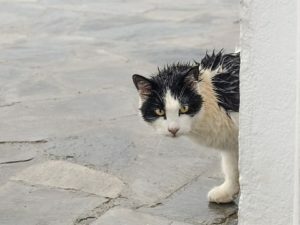 In cases where a cat is extremely fearful of being placed in a carrier, they will most likely be prescribed a sedative. Some of the most widely prescribed medications for anxiety are Benzodiazepines, gabapentin, phenobarbital and even Benadryl. As always medication should be a last resort and they should only be administered under a doctor’s close supervision.